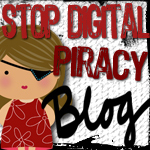 This is about software piracy, but still interesting to read. "A pair of coders nurturing a deep antipathy for software pirates set off a controversy last Thursday when they went public with a months-old experiment to trick file sharers into running a Trojan horse program that chastises users and reports back to a central server." click here to read article in full at The Register.